Light is, weirdly, always an issue on a boat. It's odd since they tend to be such compact spaces, but often windows are weirdly placed and power can be an issue. 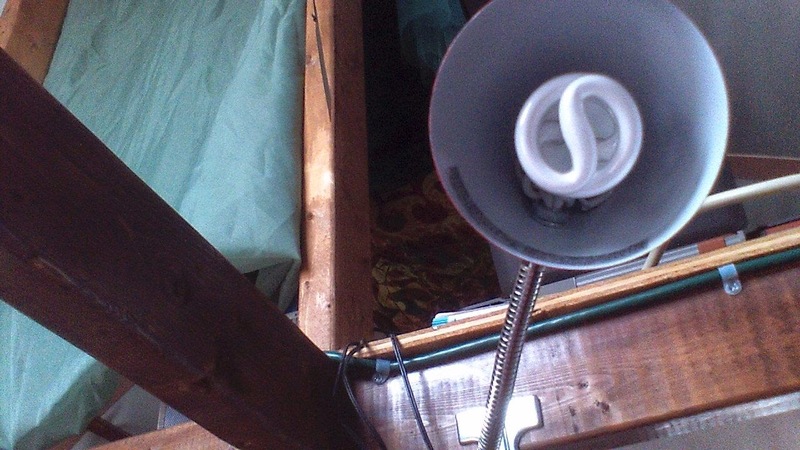 A 100 watt bulb will easily light up a cabin, but it will also heat it like an ezbake oven and exhaust even the most robust batteries quickly. 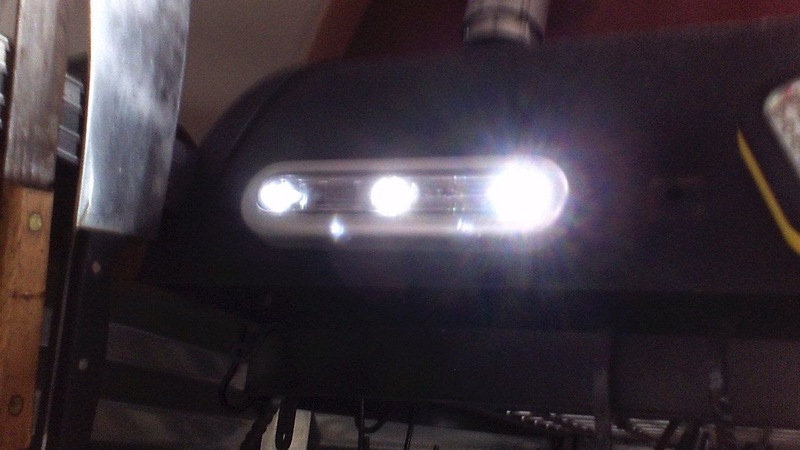 Going into Floating Empire, we relied largely on magnetic, LED battery lights. This was a really good idea for spot illumination. 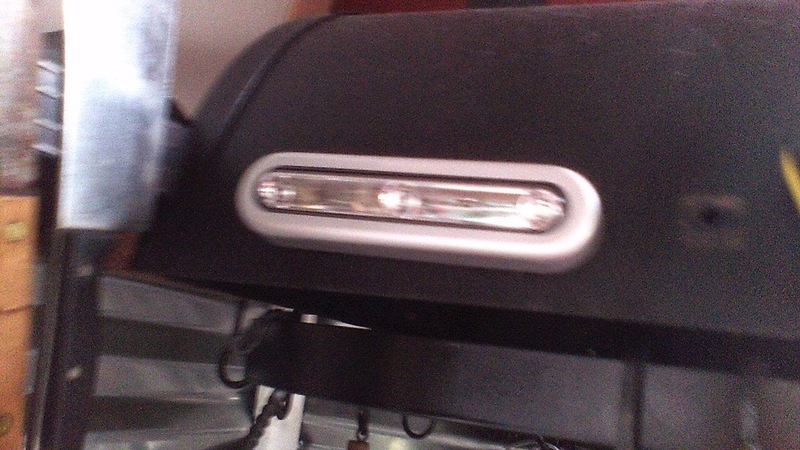 Any metal surface could be an anchor for the lights, and the simple addition of a bit of metal stripping or even a fender washer can create an attachment point. 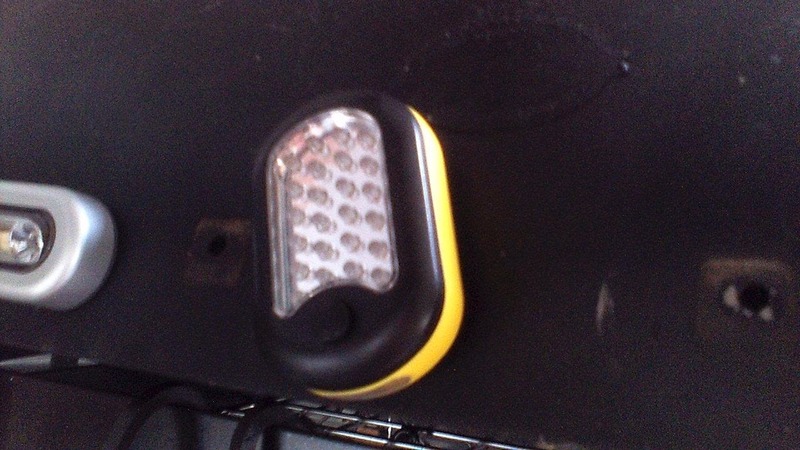 These little utility lights can stick anywhere, last a long time, and can be easily snapped off as a flashlight when needed. We use these little Sylvania touch sensitive led battery lights places like the head for general illumination. They're bright and you only have to touch them to turn them off and on, making them easy to find in the dark. 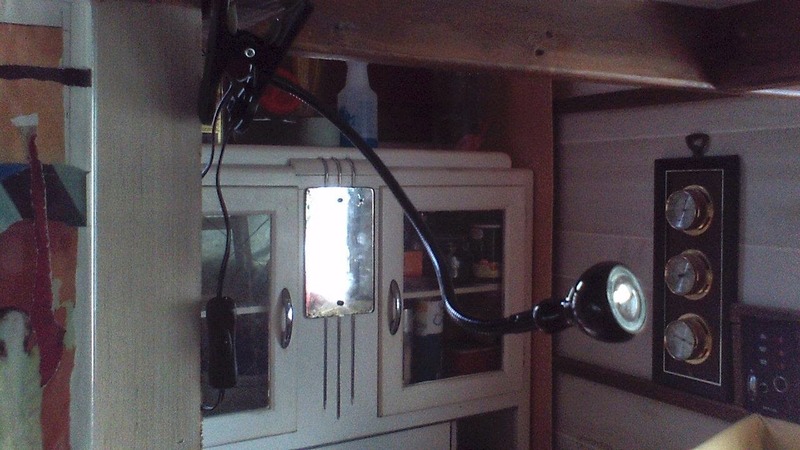 We also put up a few strategic hooks for operating either LED battery lights. 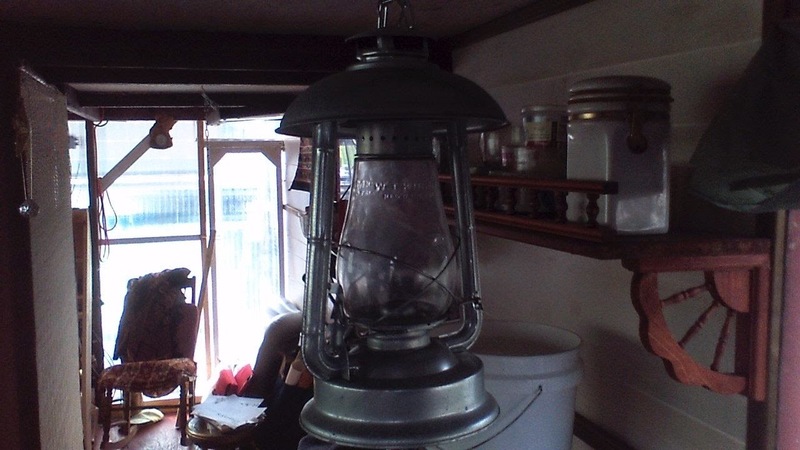 . .
Or our lovely Kirkman oil lanterns, which can also be used as a heat source. . . But though these provided point illumination and navigational light, we found that they just didn't create enough interior light for doing work, making dinner, etc etc. Once we got our electrical outgo stabilized, we realized we had plenty of battery and solar power for lighting. 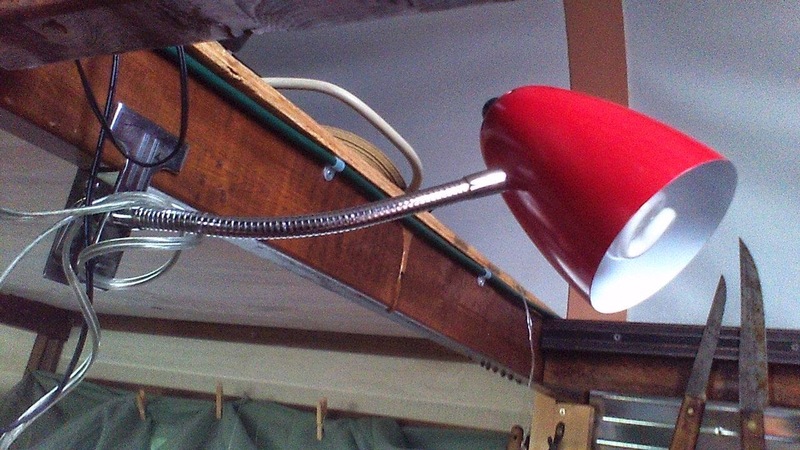 We acquired some of these LED gooseneck lamps (3W) from IKEA. Two of them supply all the light we need for the kitchen and dining room, and the ability to retarget them where needed makes them convenient for a lot of uses. We're using the LED goosenecks to gradually replace the 15W CFL's that we were using as reading lights, etc. Even using them all evening, we still haven't touched our batteries significantly. It's great when you make your own power :). 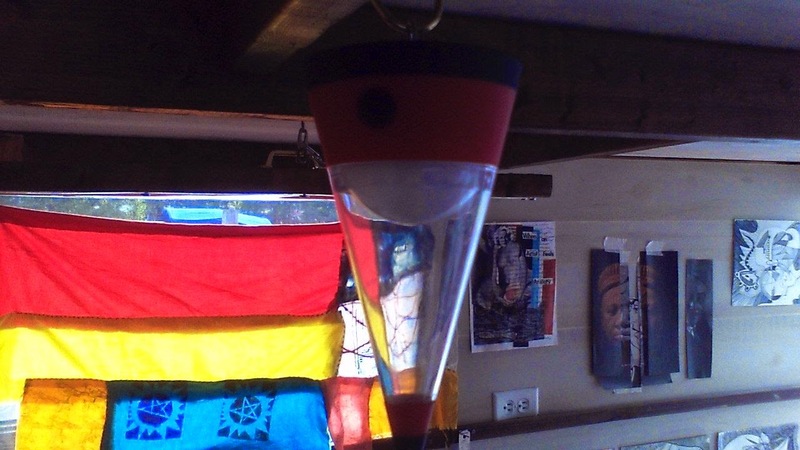 With four of the LED goosenecks working we draw a massive 12 Watts of energy.